Kids of all ages, from all different backgrounds, and from all around the world dream about taking flight. It’s an invigorating, lucrative, and rewarding career for many reasons — just take a look at our earlier blog for five reasons why you should become a pilot, if it’s something you’re on the fence about. But before you are able to take off and launch this brand new career, there are a few very important steps which you need to take. One of those critical first steps is flight training school, which brings together students who are serious about flight and who eventually want to move on to commercial pilot training. Flight training takes many different shapes and forms — here at Alliance Aviation, for instance, we specialize in initial flight training, recurrent pilot training, and type rating training for pilots of all experience levels from around the world. The benefits of flight training are far-reaching. First, of course, you will learn what it takes to pilot an aircraft. But more than that, you will learn important navigational skills, federal aviation regulations, and the importance and types of aircraft maintenance, among other things. 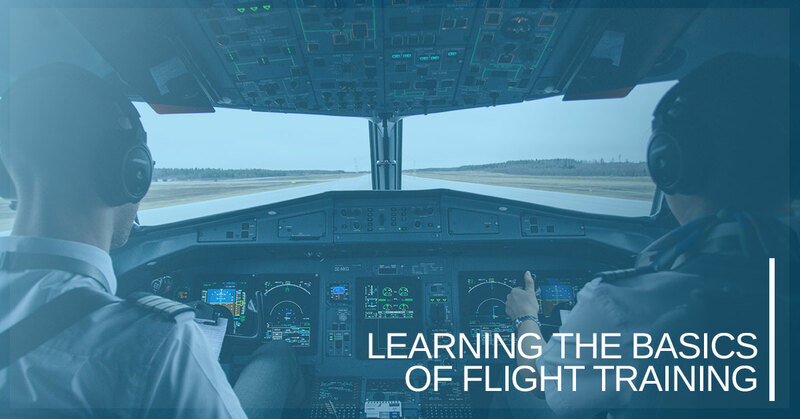 In this blog, we’ll be taking a look at some of the basic lessons learned during flight training, which are imperative if you are hoping to move on to commercial pilot training in the future. Keep reading to learn more and enroll at Alliance Aviation today to take flight on a new career path. Ground school training is one of the most crucial components of flight training at all levels. Through this specialized set of classroom lessons, you will learn much about aircraft systems, how they operate, how they are maintained, and a whole lot more. While ground school training typically does not include simulations or actual flight training, it is still crucial to the training overall. As your progress through ground school and a variety of other lessons, the time will eventually come for you to practice some performance and ground reference maneuvers. Ground reference maneuvers are designed to develop your knowledge and skill as a pilot with regard to the influence of wind, including the adjustments you might need to make when encountering strong winds at low altitudes. Performance maneuvers, on the other hand, are some of the trickier maneuvers you will come across during pilot training. These maneuvers are designed to develop a higher level of skill, helping the pilot develop things like coordination, timing, and attentiveness while operating an aircraft. During these lessons, which can include things like steep turns, are where the quick thinking ability of a pilot really shows. Of course, in order to properly fly a plane you will need to know how to take off and land the plane. During flight training is when you will learn the many types of takeoffs and landings, including doing so on short runways, long runways, soft runways, and even emergency runways and fields. As a pilot, you need to be prepared for literally everything. That’s why it’s imperative that you train for emergencies, no matter how prevalent or common they may be. During flight training, you will learn, memorize, and re-learn the different procedures and protocols during an in-flight emergency. Being prepared and knowing the emergency checklist will only round out your skills as a pilot. Finally, flight training is where you will learn how to plan, report, and operate a cross-country flight. From climate conditions to route information to having a backup airport in mind, planning is a critical component of flight training. So, are you ready for flight school? Maybe you’re ready to take it up a notch and undergo commercial pilot training. Either way, Alliance Aviation can help. Enroll today and take flight on a new career.